My name is Tiana Hines. I am a wife and mother from the San Francisco Bay Area, born and raised in East Palo Alto- the soul in the Silicon Valley. My family and I currently reside in the East Bay Area, and to say I’m grateful we are together would be a gross understatement. This is my story, the one God gave me to share, but it wouldn’t be complete without first telling you our story. On our 4th wedding anniversary, 09/04/14, my 34 year old husband had a hemorrhagic stroke which caused a brain bleed and an AVM rupture. He flat-lined, was in a coma for 2 weeks, and wore a medical helmet for 6 months because he had no left bone flap on the left side of his skull. I assisted with in-home infusion treatments, helped bathe, feed and clothe him. I watched him learn to read and walk again. In February 2015 he had his last brain surgery to replace his skull. He made a full recovery by our 5th wedding anniversary and his one year stroke anniversary on 09/04/15. Two weeks later I found a lump. 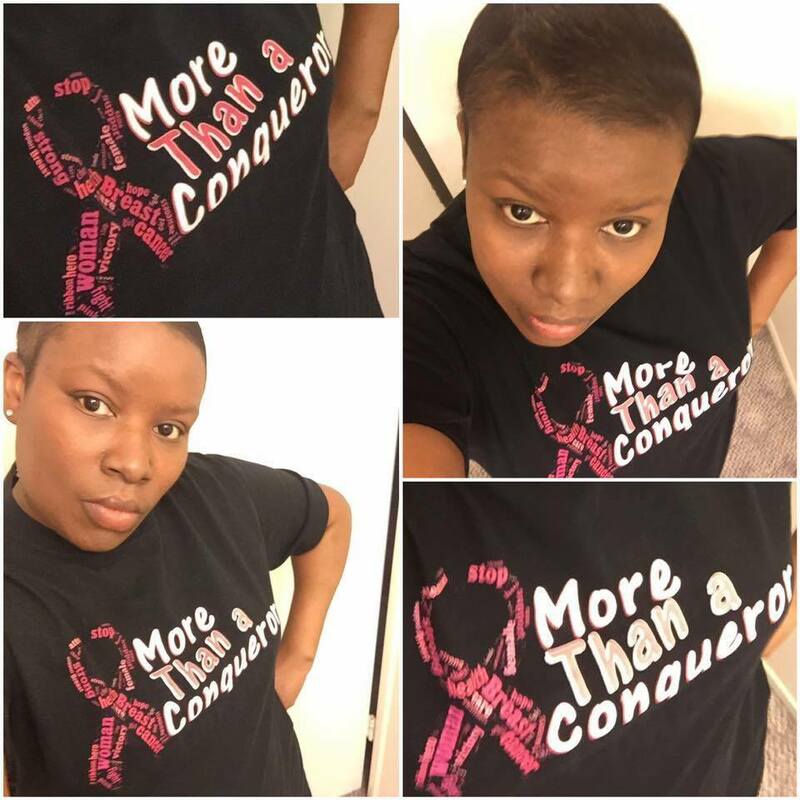 On October 1, 2015 I was diagnosed with Invasive Ductal Breast Cancer. I began my first of 6 chemo rounds on October 1, 2015. I had bronchitis, pneumonia and a blood transfusion. On December 17, 2015, two days before my 34th birthday, I learned that chemo worked and upon physical examination the tumor shrunk. 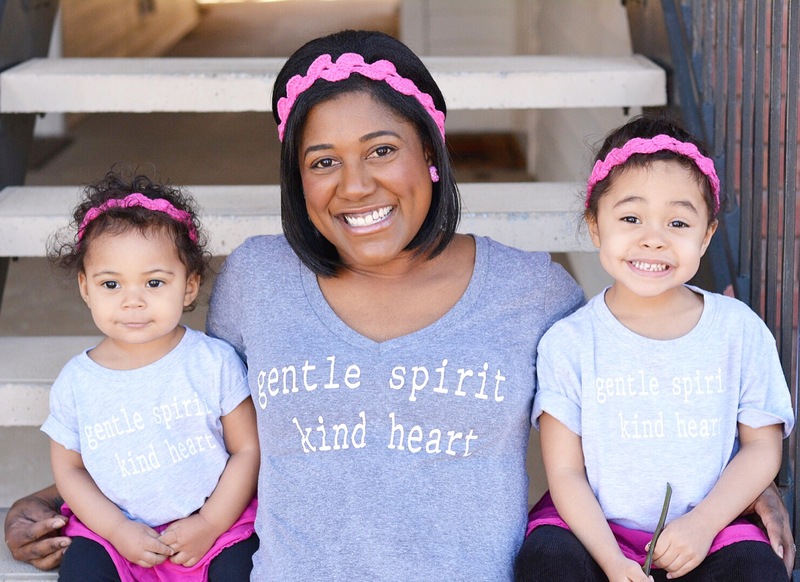 A breast MRI in February 2016 revealed no tumor. 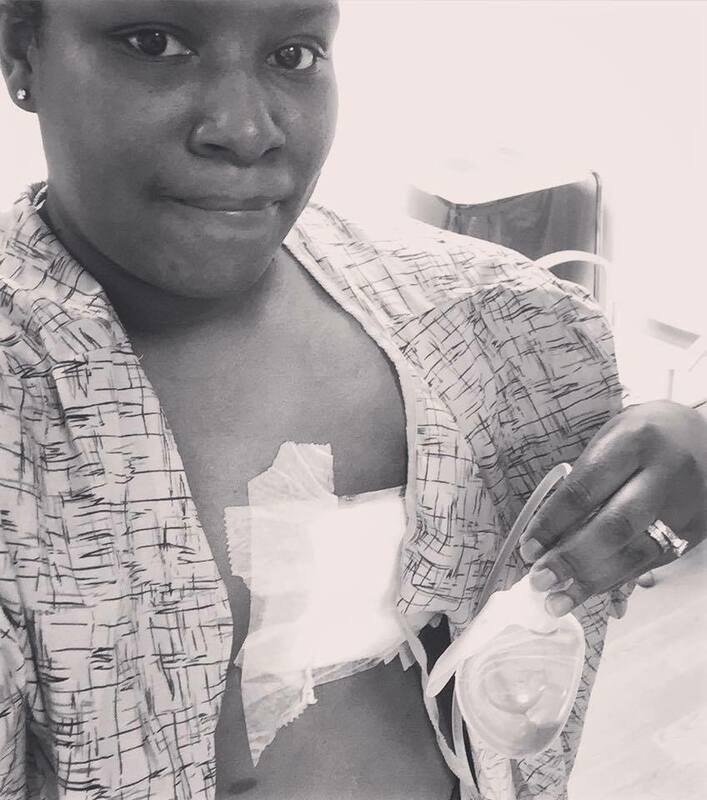 On February 24, 2016 I had a double mastectomy and BSO (removal of both Fallopian tubes and ovaries), and the pathology results from that surgery confirmed no evidence of cancer. Praise God I was CANCER free!!! However, I still had a road ahead of me. I have the BRCA-1 breast cancer gene, therefore, I had to finish out my treatment plan. 25 treatments of radiation every weekday for 5 weeks in May 2016. I am to receive herceptin infusions every 3 weeks until November 2016, and have two more major reconstruction surgeries to go. After what we’ve been through the last couple of years, we’ve both kicked our faith into high gear. We’ve leaned into the Lord and grabbed a hold of His Word more than ever before. I’ve prayed and cried and cried out to Him more times than I can count, yet even in my darkest hour He brings me back to His truth. We have so many praying people in our lives and I can’t even begin to imagine what this battle would’ve been like without their support. We want them to know how much they are appreciated and how deeply moved we are by their love. 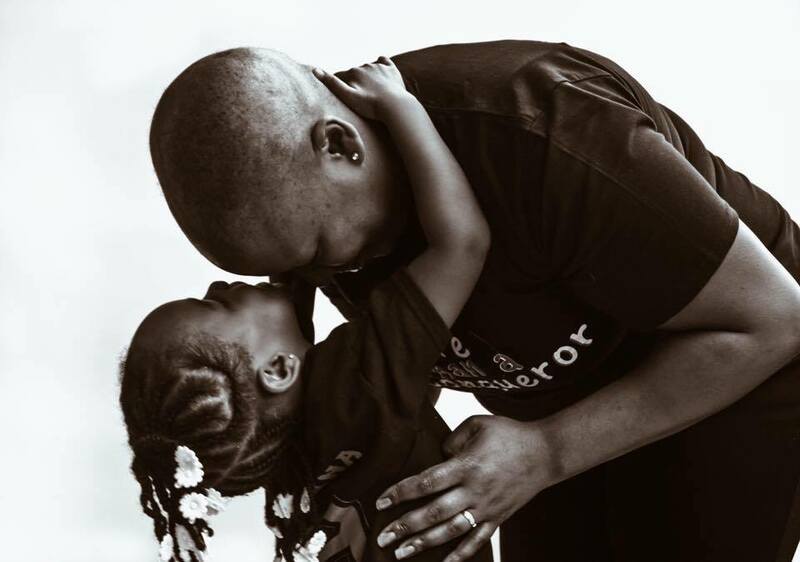 We also want to teach our daughter that even in the midst of our circumstances the Lord has provided ways for us to be a blessing to others as we have been blessed. We always say that if we didn’t GIVE we wouldn’t have! At every opportunity we can, we make every effort to give back. Our daughter is the reason we fight. She’s a huge part of our healing. She’s our sunshine even when it appears we are only surrounded by grey skies. She is our gift from above. The pain of these circumstances is still very real and the emotions are raw. But by God’s grace we are survivors!!!!! We are ready to fight hard to watch our 4 year old daughter grow up and continue to grow old together. We are ready to live! Thank you, Tiana, for sharing your story. It’s so refreshing g to see your positive attitude after these medical setbacks. You and your family are so strong and such a huge inspiration! I’m so happy to hear that your husband has made a full recovery and that you are cancer free! I am so happy that they are healthy and healing together!! Thanks for reading Nicole! This is truly a moving story. I will keep you and your family on my prayer list as well. Thanks for sharing! Thanks for reading Jessica and I’m sure they appreciate the prayers! I am a firm believer that God give His toughest battles to His toughest warriors. What an incredible praise report and giving God all the glory that your friend persevered and drew near to His word. A beautiful testimony and thank you for sharing 🙂 My heart is bursting with joy for your friend! Yes!! I’m so happy she chose to share and I pray that her testimony blesses many! They are such an inspirational family, and God is so good! Wow! Just wow! I literally found myself just staring at the screen when I finished reading. Praise God for ALL of that incredible healing! Yes, yes, YES!!! He is GREAT!!! The strength and love is so evident. Thank you for sharing your story!!! They are so strong!!! Thanks for reading Shannan! Wow! What a testimony! I’m so humbled to have come across this amazing story. To God be the glory and may He continue to bless your family so that you may continue to bless others. All I can say is ” Look at God!” Praise Him!!! He is indeed an AWESOME God! He is sis. He truly is!!!!! Another amazingly inspiring post! I have so much admiration for this beautiful family and their unfaltering faith after everything that that they have been through. I am so happy to hear that they are healthy again. This is such a powerful testimony and I’m so happy she shared. Be blessed sweet friend!! Wow! Praise God for their health and for their strengthened faith! Thank you Lord!!! Thanks for reading Emily! Such a beautiful and inspiring story! Her attitude and positivity makes me want to be more grateful! So thankful she shared with us. Yes, Stephanie, I agree. What an awesome perspective and blessing! 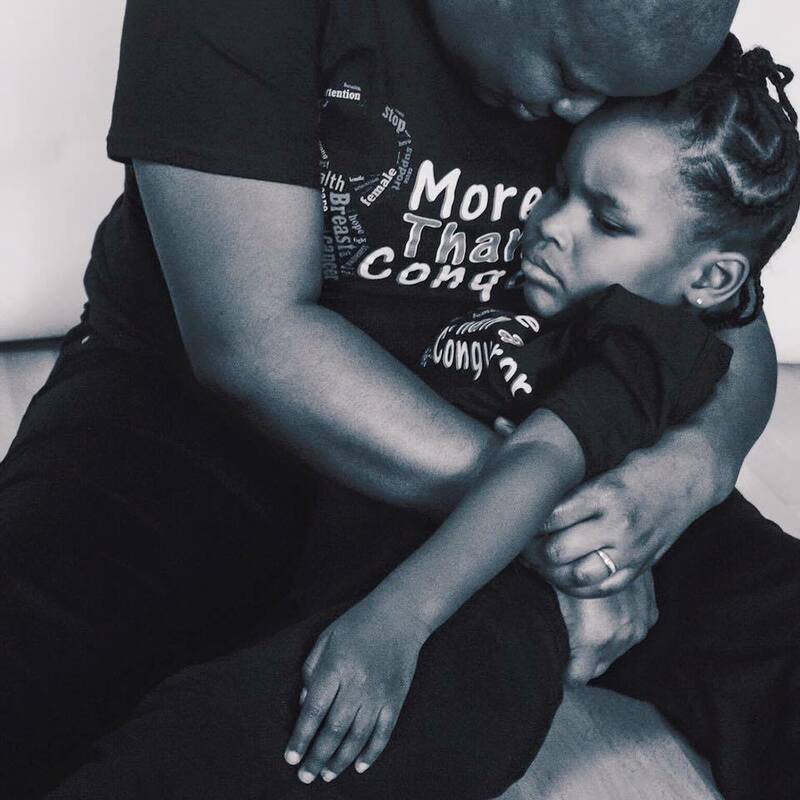 What an incredible ordeal Tiana and her family have been through. Please let her know that she’s never alone, and thank you for sharing her story with us. I will absolutely tell her. Thank you so much for your sweet words Julie! You are a strong woman!! I’m sure your daughter admires you so much! 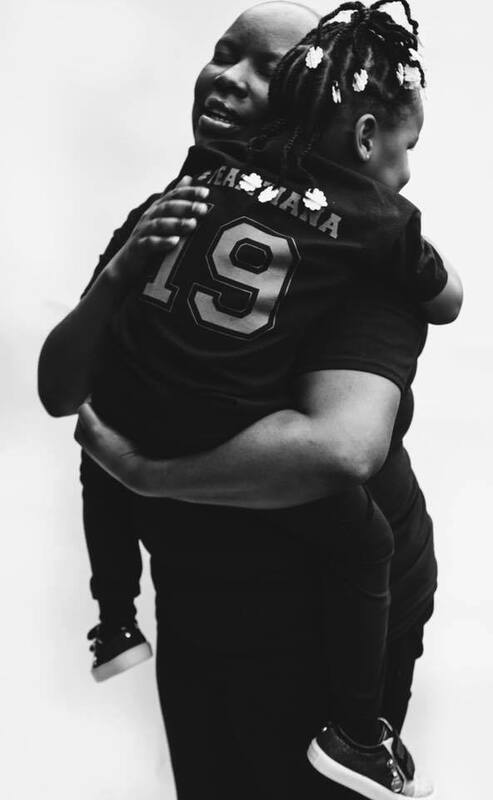 Her daughter is so blessed to have her as a mama!! Tiana, wow, thank you for sharing this. What faith and boldness you walk in through your journey. You quoted my favorite verse as every thing I’ve ever walked through, on the other side I understand His plan. You never know who you may inspire, continued prayers for you. He knows our end from our beginning! I’m so happy that through any of life trials we can stand on His Word. Tiana is incredible! prayers for this amazing and strong mama and her family! Wow! What a story! You are so strong Mama! God is good! Thank you for sharing your story. Prayers for you and your family. God IS Good!! I’m so grateful that Tiana shared her Story with us. What a testimony!! Wow! Tiana you’ve had quite the journey! I’m so glad to know that you’re doing well. You are such a brave and strong woman!!!! All the best to you and your family!!! I couldn’t agree with you more Samantha. She’s an inspiration!! I loved reading your story. Thank you so much for sharing. I can’t believe what the two of you have been through. You are so strong. They truly are. Thanks for reading Ashley! Thank you for sharing your story! God bless! Such an amazing story! My father in law got pneumonia from his chemo too! So scary because they had to skip a treatment. Chemo can be so unpredictable. I’m so glad your father-in-law is ok!! oh my goodness, I had no idea!! you are superwoman! thank you for being so transparent and sharing your story, you are definitely an inspiration! Tiana is an amazing woman! So glad she and her family are on the path to healing!! Thank you so much to each of you for taking the time to read and comment. I appreciate all of your kind words. 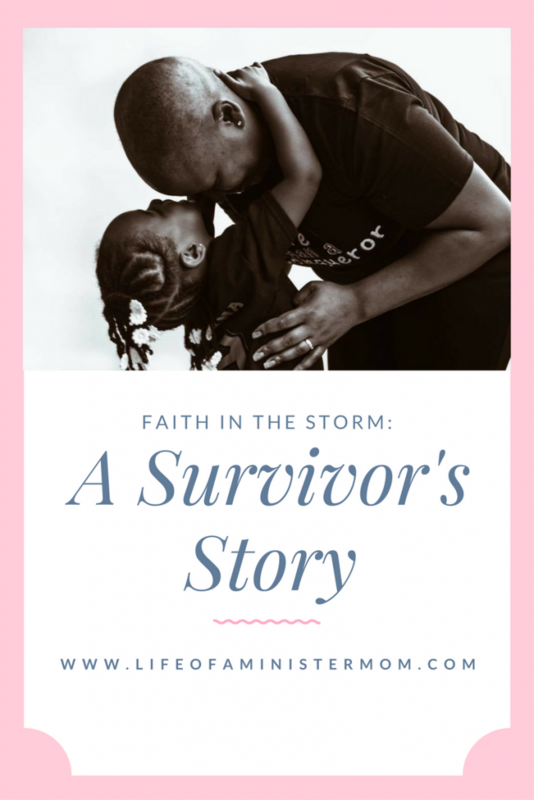 I very much appreciate my friend @lifeofaministermom for sharing the story that God gave me. GOD IS SO GOOD! Thank you friend. Thank you, thank you THANK YOU! God is great!! You all have been put through so much! Thank you for sharing. Your family is such an inspiration! Stay strong love! What a testimony right?! So encouraging!! What an incredible story! Thank you for sharing your faith! Thank you for reading Beth!! She and her family are amazing!! The ability for you to grow your faith in the middle of this storm gives me goosebumps. Sending so many prayers! Blessings to your family and thank you for sharing with us all! What an inspiration you are! Thank you for reading her story Katie!!! Such an amazing family! And GOD is so GOOD! Wow I’m lost for words right now. Such a touching story, I’m an emotional person already but this really touch me. You are a true inspiration for all of us here! Thank you thank yoouuu Tiana for sharing. Love your heart so much Erika. 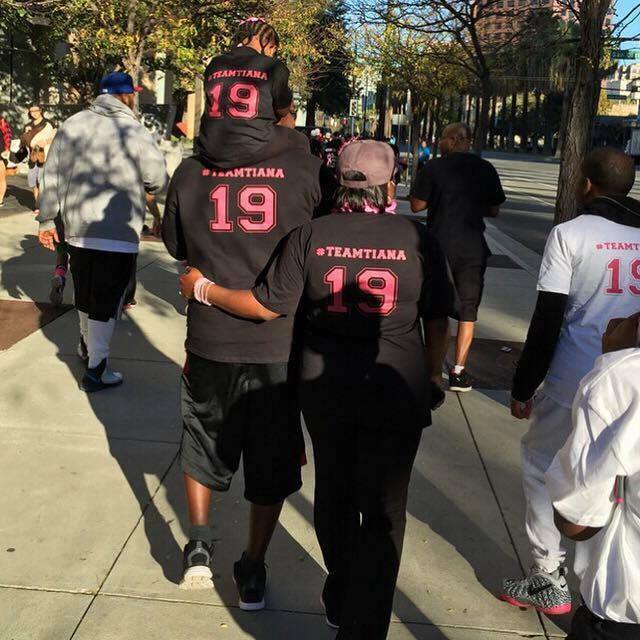 Thank you for reading Tiana’s story! !